‘Tis the season to embrace the season. We are in the deep winter now. Here in New England, we are buried in snow, with snowbank peaks and valleys higher than our heads. By these involuntary or voluntary means, it’s time to slow down, reflect a little more often and cozy up. 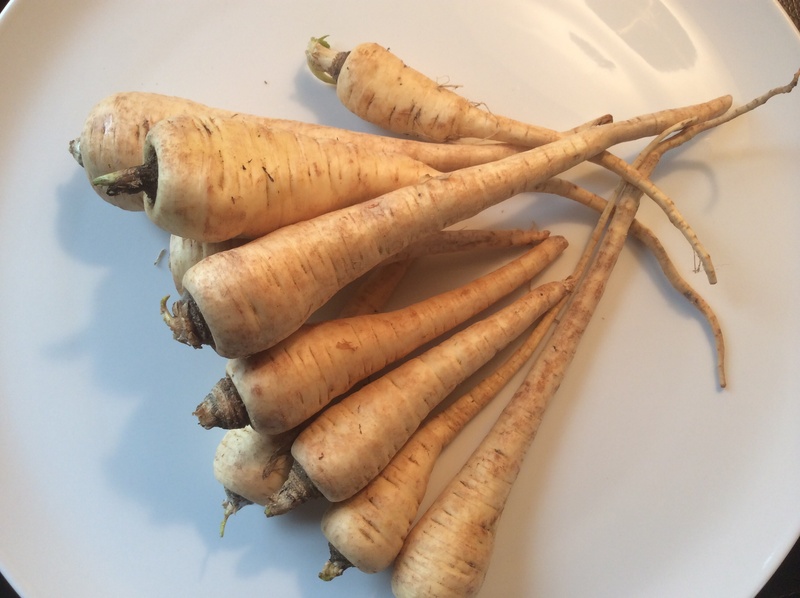 It’s also a great time for Parsnip Soup. This soup starts with a pound of parsnips, which may look like a lot, but between their thick heads and spindly bottoms, you’ll peel and chop down to the right amount in no time. 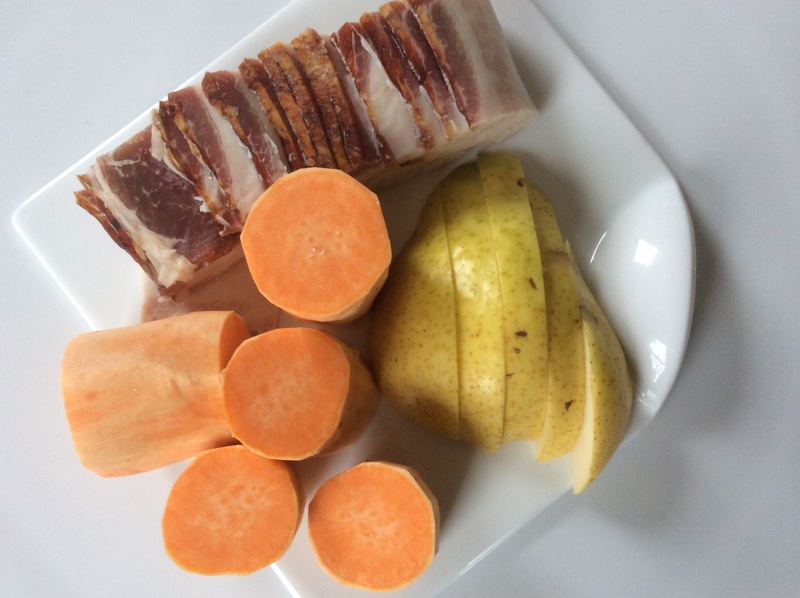 Same goes with the apples and potato: a quick peel and chop, and suddenly you’ll have a beautiful blend of white wintry colored chopped ingredients: parsnips, apples and potato. It’s simply a one-pot process after that. 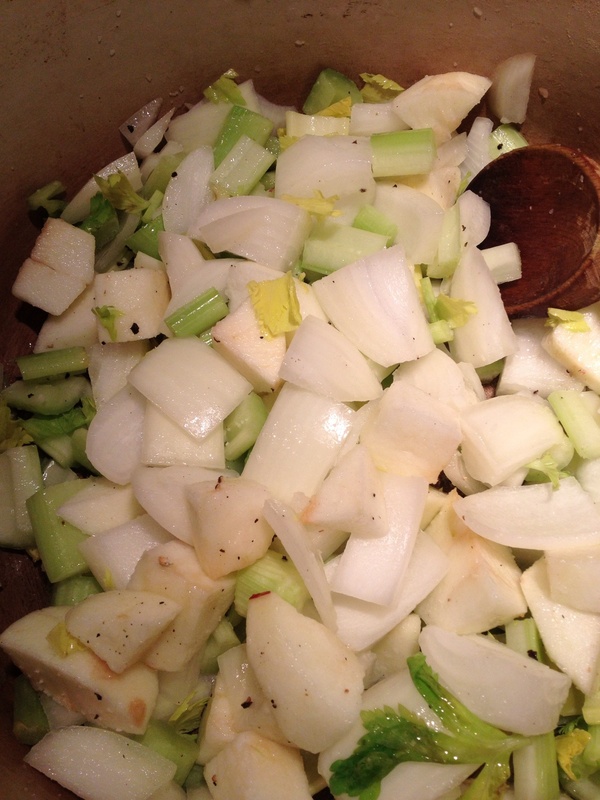 Start with browning the leeks, add the chopped ingredients, a little broth, a little water, boil and simmer. Then puree, add a bit of cream, salt & pepper and garnishes. A quick note about broth: I often use Better Than Boullion Chicken Base for any recipe calling for broth; it’s has a great chicken broth-y flavor and because it’s a paste you mix with water, you can adjust potency for a recipe, like this one, which calls for reduced sodium. 1) Heat the butter in a large pot over medium heat. Add the leeks (reserving 1/2c for garnish). Cook, stirring for five minutes. 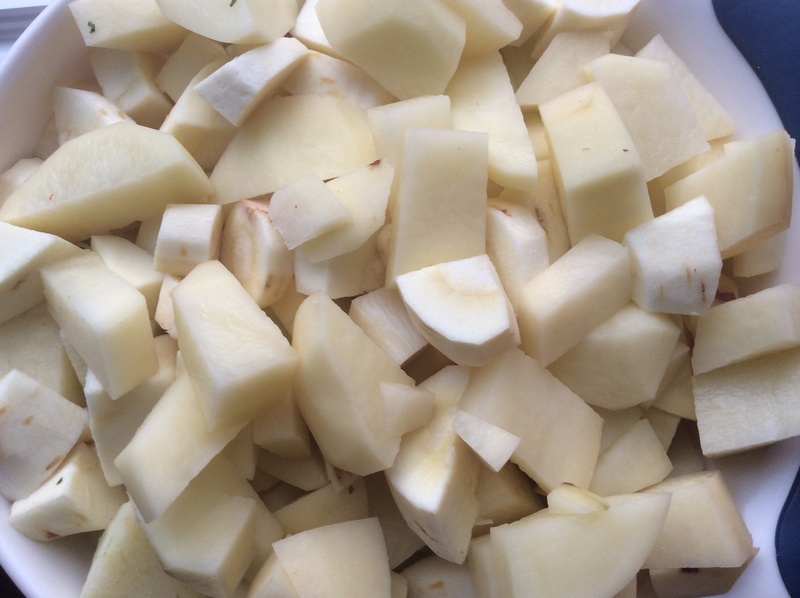 2) Add the parsnips, apples, potato, broth and 4 cups water. 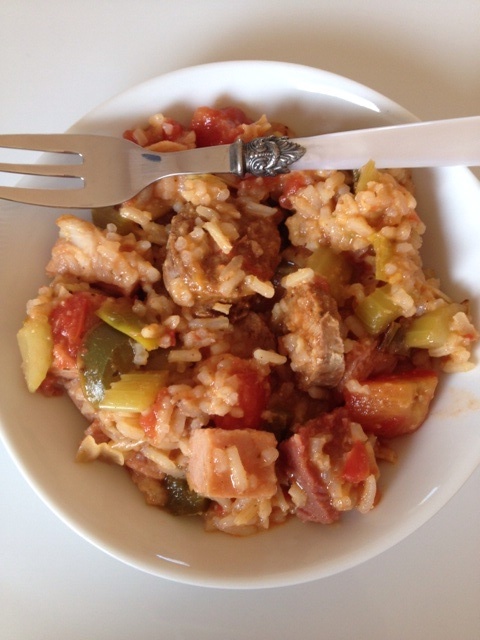 Bring to a boil; reduce heat and simmer, partially covered, until the vegetables are tender, 20-25 minutes. 3) Working in batches (or with a handheld immersion blender), puree the soup until smooth. Stir in the cream. Taste for salt & pepper, and season accordingly. Top with your preferred garnishes. 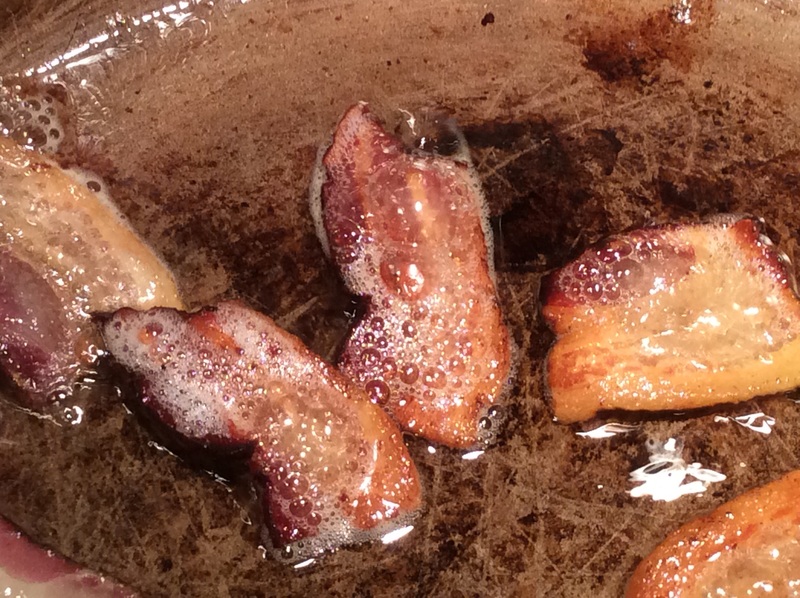 4) Garnish: Make just before serving: In a large skillet, heat 1T butter over medium-high heat. 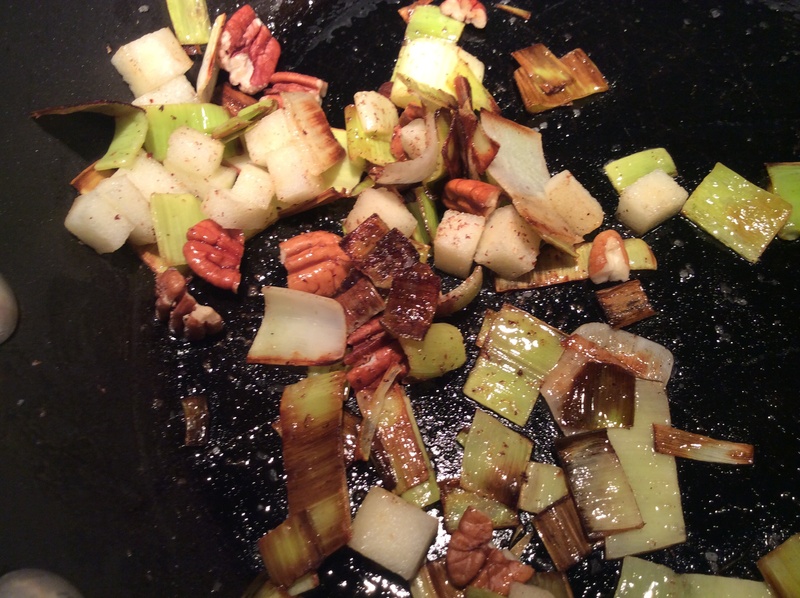 Add the leeks, cook, stirring, until golden brown, about 3 minutes. 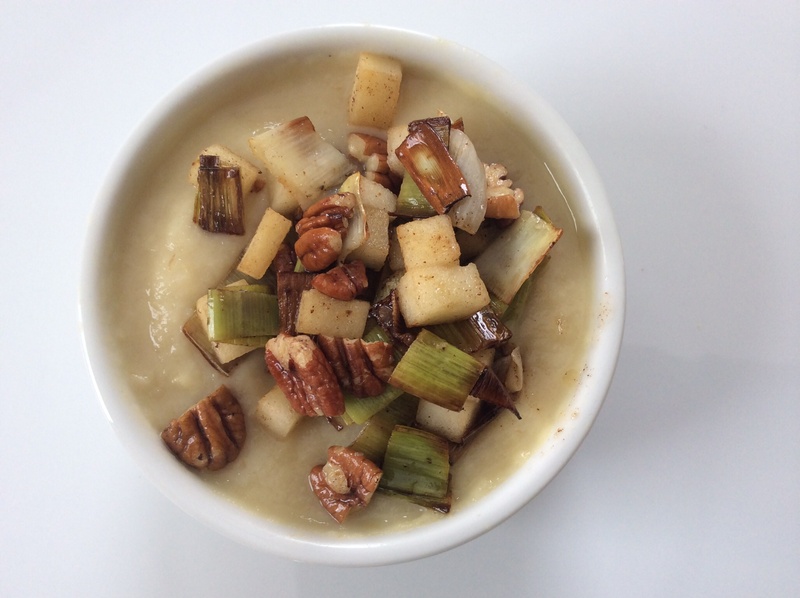 Lower heat to medium, add apple and pecans, stir together, cook for 2 or 3 minutes (goal here is a quick warming and mixing of ingredients – be careful not to overcook). Sprinkle salt and a bit of pepper, and generous grate of fresh nutmeg. 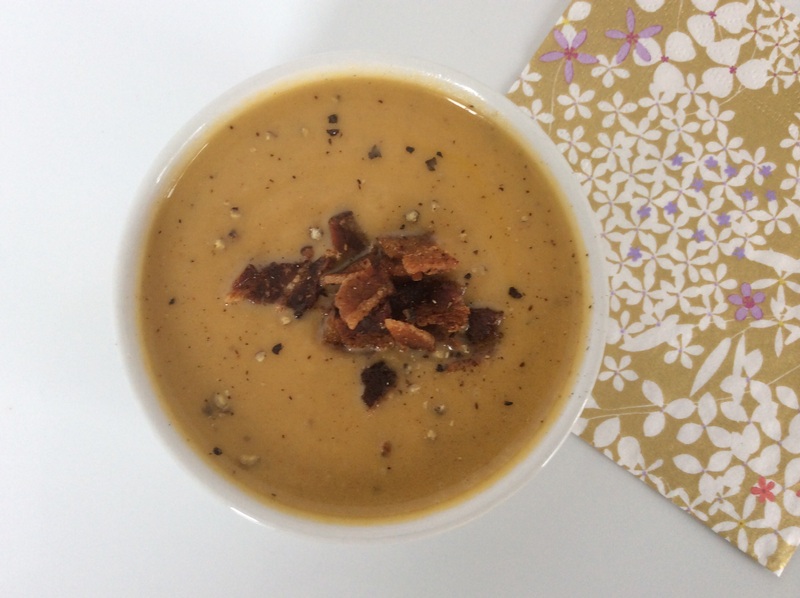 The end product will be a hearty and comforting soup with sweet apple, crunchy pecans, crispy leeks and fragrant nutmeg. Enjoy! So the official sign of Spring happens today in Boston: the Red Sox home opener! The sound of a baseball game on the TV prompts a pavlovian response where I see open doors to the deck and feel a soft, warm breeze blowing in. The reality though is that it’s still quite cool here and I’m not quite ready to risk a vest instead of jacket, and a fuzzy hat stuffed in the pocket remains wise insurance. 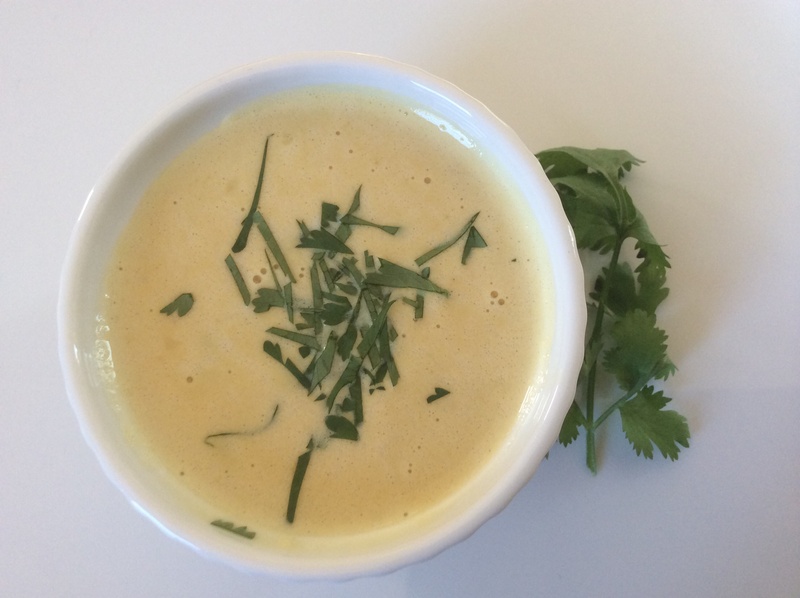 But I must be yearning for a teensy taste of summer because before I knew it, I had flagged a Rick Bayless recipe for creamy corn soup with roasted poblano, sauteed onion & garlic, pressed through a sieve to make a silky smooth texture. 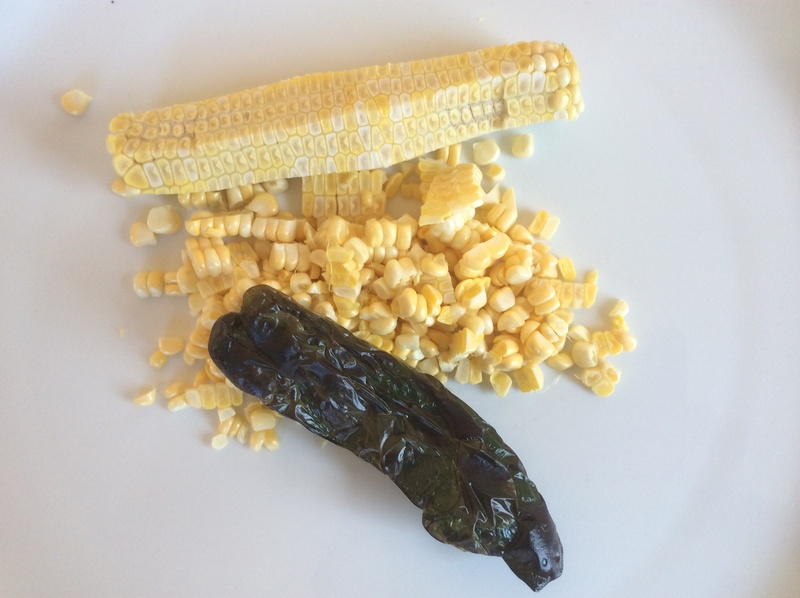 I bought a few ears of corn at the store, and yes, I know they are coming all the way from Florida, a long road trip to Boston, but please forgive me. I try to make it a point to never wish time by, to cherish each day, but maybe just for a moment, we can let our thoughts drift to summertime and taste it…call it a soup of hope…a soup of warm nights and sun burned shoulders. Yes, delicious. Thanks for the quick departure. Now, back to the present, to each brisk, bright morning, checking on the daffodil greens sprouting up through the soil and welcoming the littlest sparks of green on the branches. Spring is here. Let’s play ball! 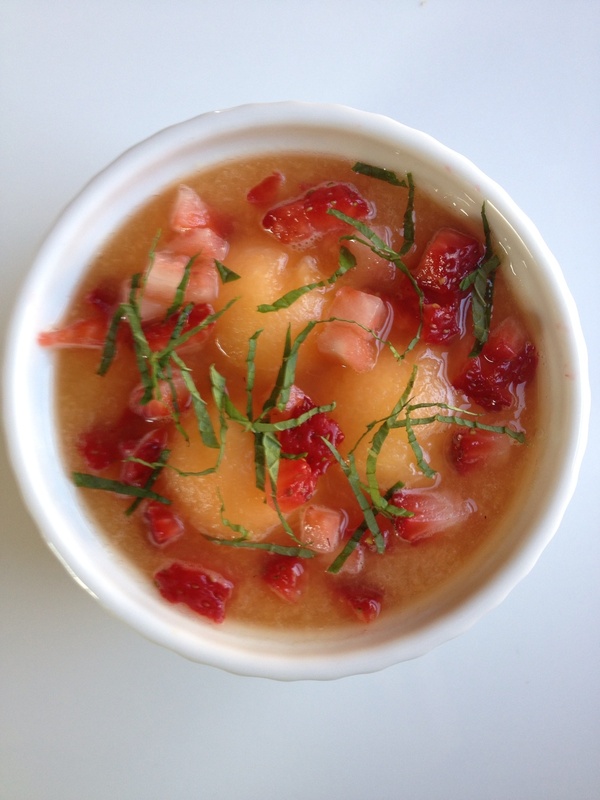 And on this smoking hot August day, here is a little chilled summer soup for you: cantaloupe, ginger, lime, mint, Lillet, strawberry. You will want to drink this! 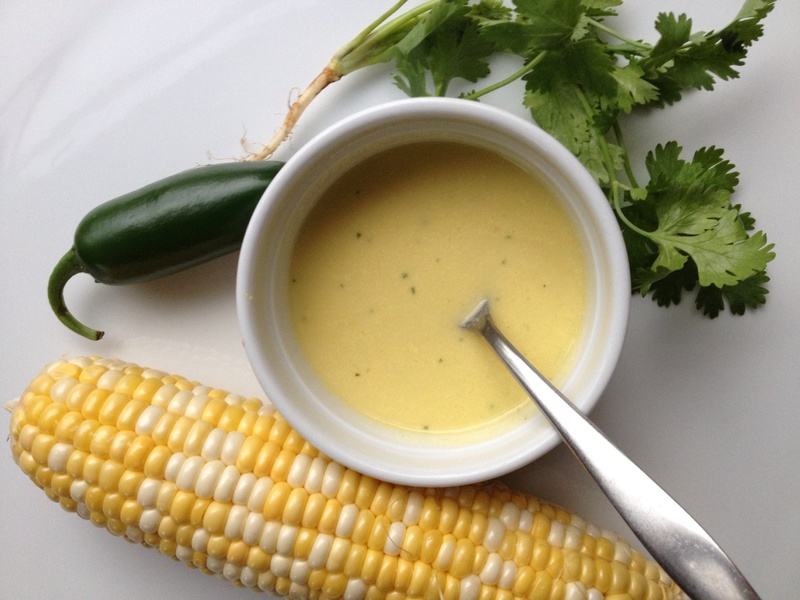 Shucked corn, cilantro, jalapeño, lemon, butter, milk. Happy Summer. 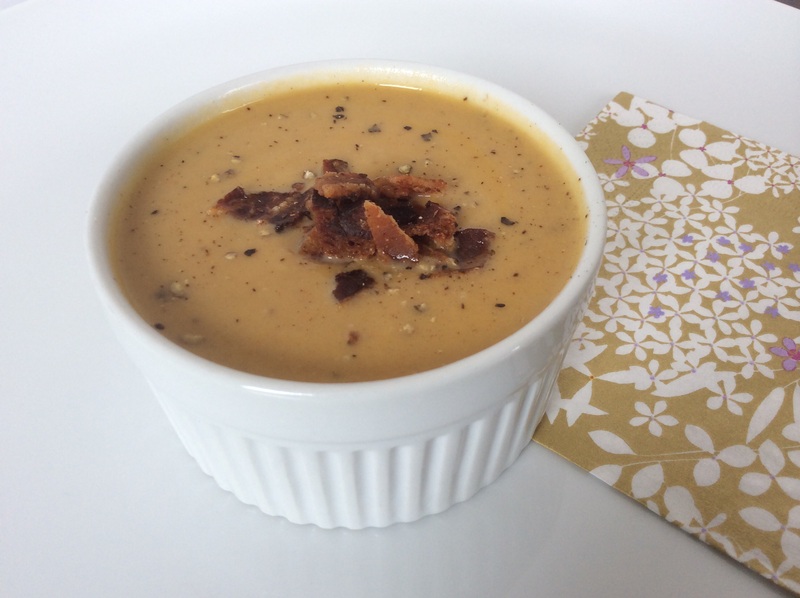 One of my favorite uses for carrots and tarragon is this quick, healthy soup. 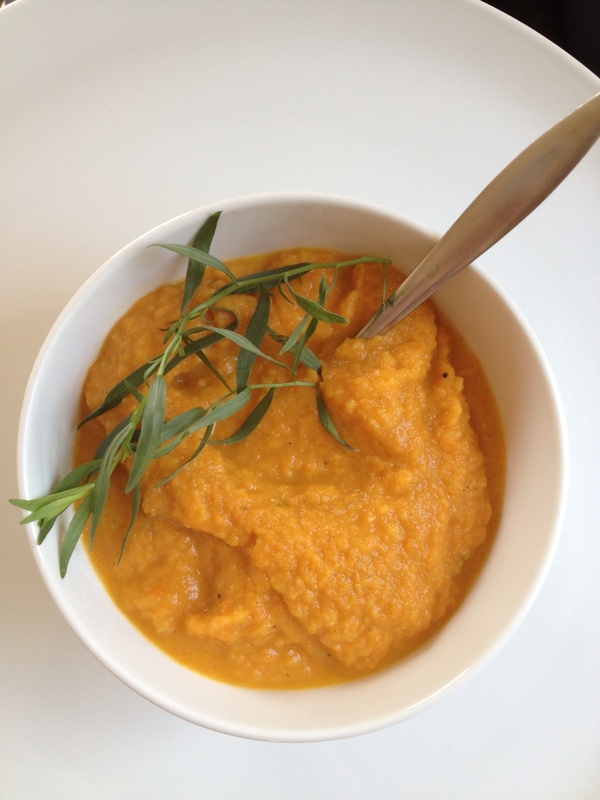 Short ingredient list: carrots, leeks, fennel, potatoes, tarragon, and vegetable stock.